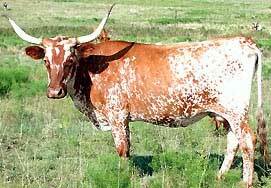 It has been sometime since the Texas Liberal Panel of Experts has been seen on the blog. I’m sure you’ve been wondering what they’ve been up to in recent weeks. They’ve been reading books of Asian poems written many years ago. What else did you think they’d be doing? Extinct has been readingJapanese Death Poems–Written by Zen Monks and Haiku Poets on the Verge of Death. Being a Woolly Mammoth, Extinct is always interested in reading about death. 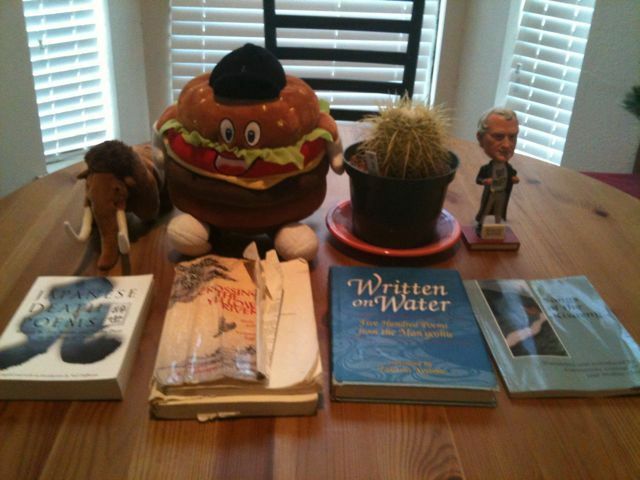 Hamburger Wearing An Astros’ Hat is reading Crossing The Yellow River–Three Hundred Poems From The Chinese. As you can tell from the picture, Hamburger has studied Crossing many times. Below is a poem from Crossing called View From Heron Tower. It was written by a Wang Chih-huan who lived 688-742. The white sun is hidden by the mountains. 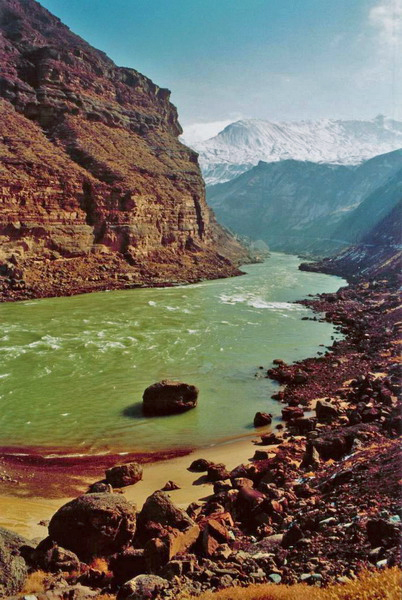 The Yellow River empties into the sea. You’ll see a hundred miles more. Cactus is reading Written on Water—Five Hundred Poems from the Man’yoshu. Cactus likes to read about water for a change of pace from the day-to-day life of a cactus. Below is a poem from Written that was authored by a Kakinomoto-no-Hitomaro. This poet lived in the late 7th and early 8th centuries. Samuel Slater Bobblehead is readingSongs of the Kisaeng–Courtesan Poetry of the Last Korean Dynasty. As always, Samuel Slater Bobblehead is quite industrious in his reading. Below is a poem from Songs called Who Caught You? It was written by Kungnyo. Kungnyo lived in either the 16th or 17th century. The poems in these books waste no words. They convey both ideas and feelings from across many years. No wonder the Texas Liberal Panel of Experts enjoys these books to such a degree. The Tea Party and others on the right did not force local Democrats to oust Judge Steven Kirkland based on smear tactics, nominate a hopeless perennial candidate for Harris County DA, nominate yet again a person who wants to impeach Obama for a U.S. House seat in Fort Bend, almost nominate anti-gay campaigner Dave Wilson for a county commission seat, and give mean-spirited Keryl Douglas more than 40% of the vote for party chair. And these were the actions of the 5% or 6% who bothered to vote. Is this the core of the Democratic Party in the Houston-area? These results in our huge Houston-area validate the Green and Occupy view that the two-party system is corrupt and dying. I’m not sure what the answer is—though I do think there is a solution out there—but this stuff is not viable if we hope to make progress in Houston, in Harris County, in Texas and in the nation. The work of freedom is up to each of us. Without forgetting the role of circumstance and context which is key to progressive thought, we have to take control of our own futures and of our political system. The turnout and the results yesterday were shameful. Our local Democratic Party is a lifeless outfit in the corrupt two-party system. 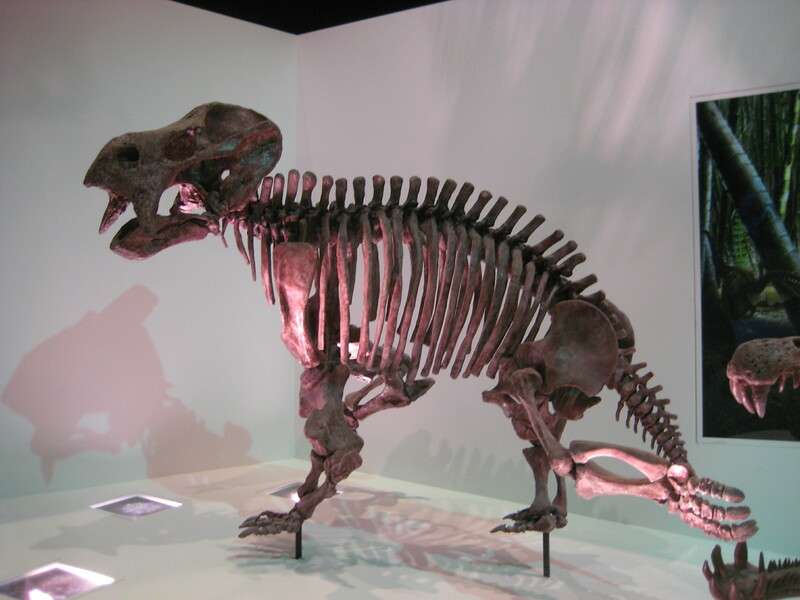 The new paleontology hall at the Houston Museum of Natural Science will open to the general public on Saturday, June 2. 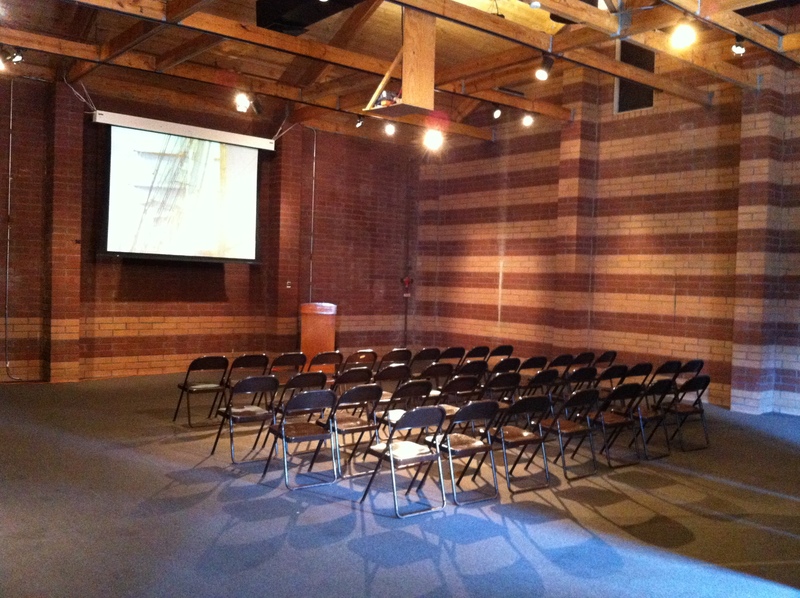 The hall has been open to museum members for the past few days. I’m a member of the museum and I took the opportunity to visit the new wing. Above you see a picture I took at the hall. That creature was an Eryops. Here is a story about the new exhibits from The New York Times. I thought the place was pretty good. It was full of fossils and big skeletons of dinosaurs and other prehistoric beasts. There also seemed decent enough information posted about each exhibit for folks who wanted to learn more and who wanted to make sure that kids had some understanding of what they were seeing. It seems inadequate to take a child anywhere and not to make an effort to explain what is taking place. Though it happens all the time that parents take kids out into the world, and make no effort to explain to the kids what they are seeing. This may help explain why so many people are ignorant. 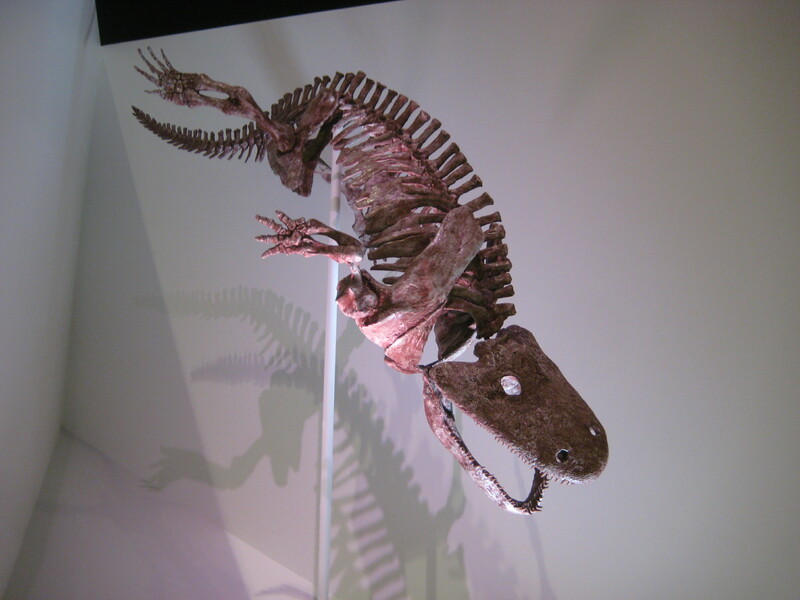 The creature shown above was a Placerias. It ate plants. A great book to learn the history of life on Earth is Life–A Natural History of the First Four Billion Years of Life on Earth by Richard Fortey. Another very helpful title to learn the history of life on Earth is Prehistoric Life–The Definitive Visual Guide to Life on Earth by DK Publishing. Prehistoric Life is a colorful, informative and energetic book that is good for both kids and adults. 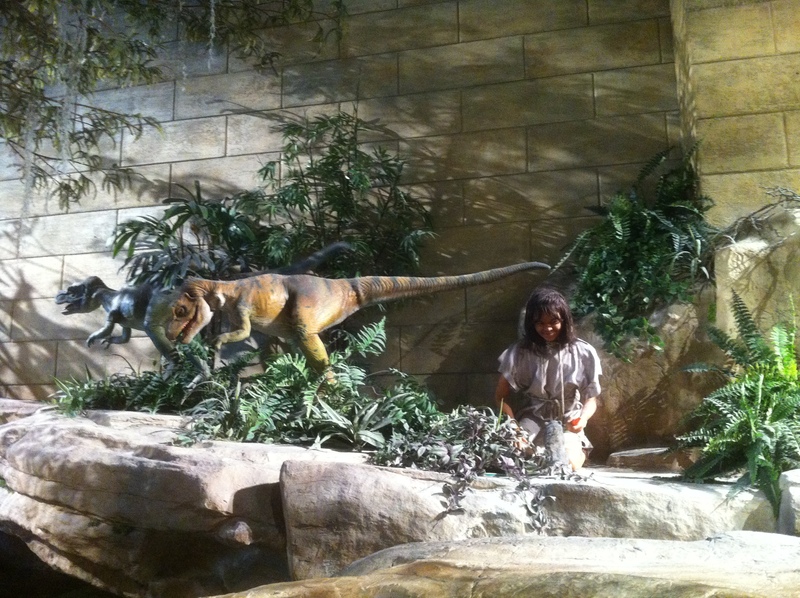 At the bottom of this post is a picture I took last summer of a girl with a dinosaur at the Creation Museum in Petersburg, Kentucky. Petersburg is not far from Cincinnati. The Creation Museum is a very well done museum that wants to convince you that the Earth is 7,000 years old or something like that. Plenty of people believe in God and evolution at the same time. I bet most religious people know that dinosaurs and other various kinds of life were around hundreds of millions of years ago and even longer ago. I bet that a number of people who would tell a pollster that the Earth was created 7,000 years ago, don’t in fact fully believe what they are saying. If they do and if this is what they teach their kids—So be it. That will be less competition for jobs in the sciences for kids who are taught real science. In any case, the new paleontology hall at the Houston Museum of Natural Science will be open to all on June 2. This post has two pictures I took a few days ago at the Houston VA National Cemetery. It seemed the right thing to do to visit this place over Memorial Day Weekend. 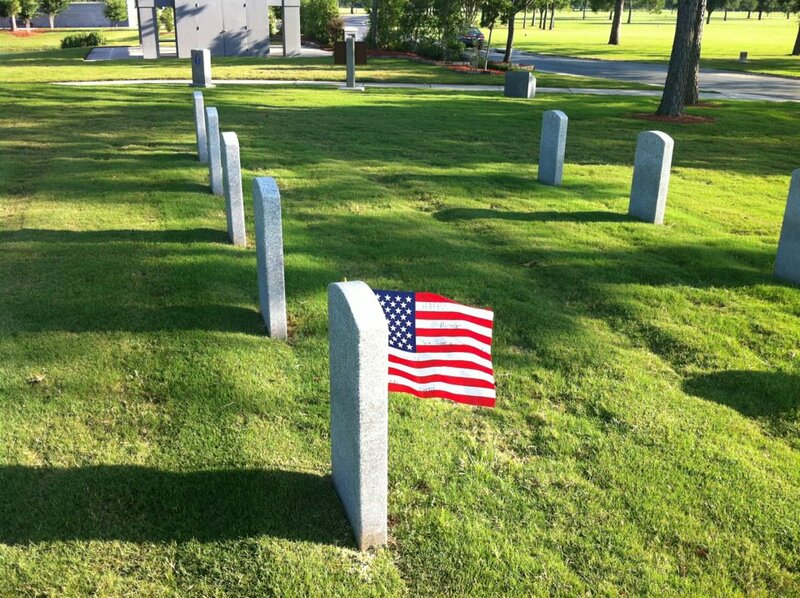 There will be a Memorial Day service at the Houston VA Cemetery. At the bottom of this post are the details. The best way we can mark Memorial Day is to recall and thank those who served, thank those who have worked over the years for peace, and work each day ourselves for a society in which we never again go to war based on a lie as we did in Iraq. 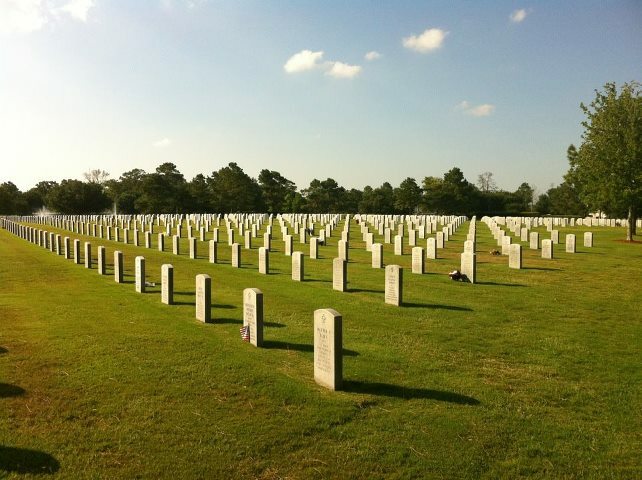 A special Memorial Day Service will be held on Monday, May 28, 2012 at 9:30 a.m. at the Houston VA National Cemetery, located at 10410 Veterans Memorial Drive. Above you see hate literature circulated by a Keryl Douglas who is running for Harris County Democratic Chair against incumbent Lane Lewis. I’m sorry even to mention this issue. But it may not fully be out there that this is the type of campaign that this Ms. Douglas individual is running. With the Democratic Primary to be held this Tuesday, May 29, people might be focusing on the some of the contested races for the first time. You see here that Ms. Douglas is running a campaign in no way consistent with the best values of the Democratic Party. If in the unlikely event she were to win, how could she lead the party after having conducted such a campaign? Here are three other Democratic primary races in which I feel compelled for various reasons to make an endorsement. I feel a liberal or progressive could be comfortable enough with these choices. * I support Lissa Squiers in U.S. House district 7 to face incumbent Republican John Culberson. Ms. Squiers is energetic and progressive. * I support Sean Hubbard to represent the Democratic Party in the race for the open U.S. Senate seat. Mr. Hubbard offers Texas Democrats the best hope for the future, and has run a reasonably progressive campaign within the context of two-party politics. * I support incumbent Steven Kirkland in the 215th Harris County District Court primary. The only reason that well-qualified Judge Kirkland has an opponent is because he is gay. Judge Kirkland has done nothing to merit a primary challenge. With so many judicial seats held by Republicans, why did not Judge Krikland’s opponent seek to win one of those Republican seats instead? Fellow Houston and Texas blogger Charles Kuffner has the best rundown of the Democratic primary candidates here in Harris County, and about other contested Texas Democratic primary fights as well. Fellow Houston and Texas blogger Perry Dorrell has written about the Green Party slate in Harris County and in Texas at his blog Brains & Eggs. I say this every week in this space. There is nothing more basic and essential I can tell you. Off the Kuff sincerely hopes there’s an uprising among parents and educators over the way public education was treated last session, but he’s still waiting for the campaign rhetoric to match the reporting about it. BossKitty at TruthHugger was moved by an award-winning documentary and saw the connection to the current state of mental health in Texas and everywhere else. Here are Lessons of the Weeping Camel for Texas. BlueBloggin had not anticipated how long America would engage in war. Enough men and women have been exposed to combat, cruelty and death to populate a small country. Americans must be prepared for When They Come Home – Critical Update. There aren’t many Democrats earning the endorsement of PDiddie at Brains and Eggs, but the most important one of the 2012 primary cycle in Harris County is Lissa Squiers for Congress. And Sean Hubbard for US Senate. Oh, and Rachel Van Os for state party chair (election to be held at the state convention in Houston in June). And maybe a few more coming in the week before Election Day. This week in GOP infighting: should Lt. Gov. David Dewhurst win his bid for the US Senate, picking his replacement will be a proxy war between Rick Perry and Joe Straus. WCNews at Eye On Williamson has the rest of the story in The Tie-Breaker. Libby Shaw puts Repug redistricting in prospective in her latest posting: The Gerrymander Cowards. Check it out at TexasKaos. Neil at Texas Liberal posted a picture of a cigarette machine that he saw last week in Houston. If you can imagine, the cigarettes cost $10 a pack in this machine. Justin at Asian American Action Fund Blog strongly supports Gene Wu in the race to succeed Scott Hochberg in HD-137. CouldBeTrue of South Texas Chisme notes that Texas is #1 — in workplace discriminationcomplaints. Memorial Day weekend is coming up. There will be a lot of people out and about over the holiday weekend. Though, of course, the purpose of the holiday is to recall our soldiers who have died in our wars. While out and about enjoying your holiday weekend, please be mindful of the people who are working over the weekend and on Memorial Day. Treat them well and tip them well. Memorial Day is a federal holiday. Tip people the same time and-a-half-rate that you would expect to be paid for working a holiday. If you normally tip at 15%, tip at 22.5 % on the holiday. If you normally tip at 20%, tip at 30% on the holiday. If you are not paid a fair wage on a holiday, that is not the fault of the person helping you on Memorial Day. Self-respect and respect for fellow working people are the exact same thing. Sometimes I go to the convenience store up the street on holidays. When I do, I buy the folks working a $1 lottery ticket to thank them for working the holiday. We’ve got to look out for each other and treat each other well. It is up to each of us to look out for each other and treat each other well. 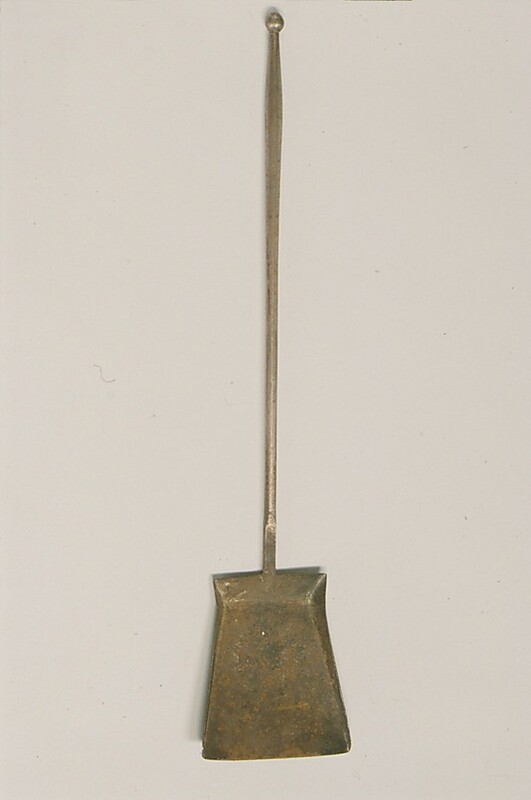 There is a great deal to be said for the fact that a common tool of a working person is on display in a world-famous museum. Respect for our everyday lives is the gateway to respect and concern for the lives that others lead. Voting is ongoing in the Texas Democratic primary. Early voting runs through May 25. Primary Election Day is May 29. I have early voted here in Houston, Harris County. 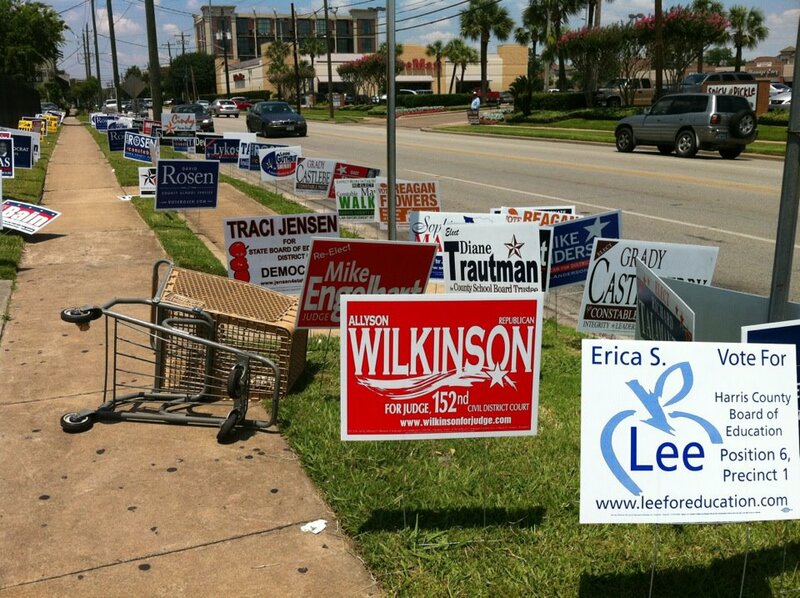 Above is a scene from outside my early voting location. Democracy is often a mess. Here are four races in which I feel compelled for various reasons to make an endorsement. I feel a liberal or progressive could be comfortable enough with these choices. 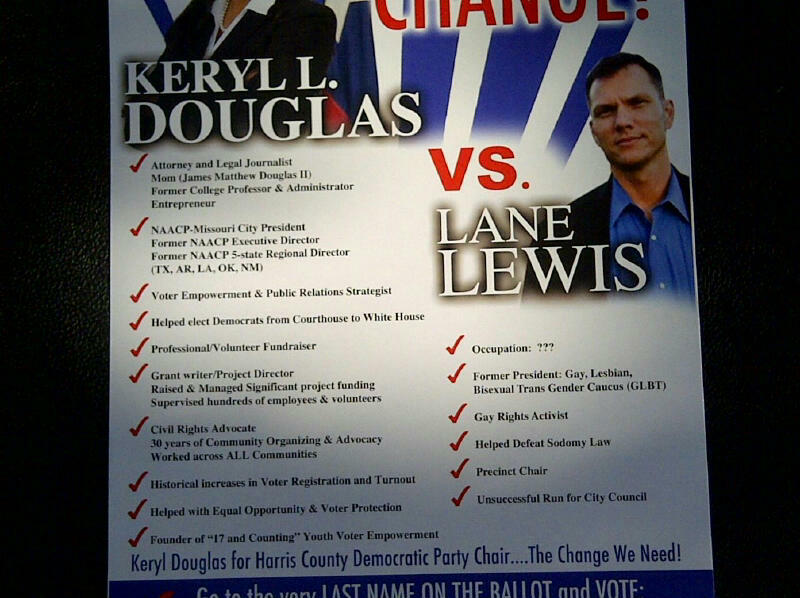 * I support incumbent Lane Lewis to remain as Chair of the Harris County Democratic Party. Mr. Lewis has drawn an opponent who has responded to campaign disputes with threats of lawsuits against active Democrats. She is not fit to run the Harris County Democratic Party. There is an upcoming art show for politically and socially minded art here in the Houston area. This show will run from Friday, June 8th through Sunday, June 10th. The show runs from 5:00 PM to 11:00 PM each day. Here is the Facebook page for this show. The show is taking place at Winter Street Studios located at 2101 Winter Street in Houston. At the end of this post are further details about this event. I will be attending. Maybe I will be able to find some good pictures to take for the blog. Maybe I will find something to purchase. It can be difficult to find a venue to express your views and outlook in a hopeful forum, and in the company of sympathetic people. Hopefully this event will be such a forum. Hopefully this event will also expand the voice and the reach of the artists who are taking part. 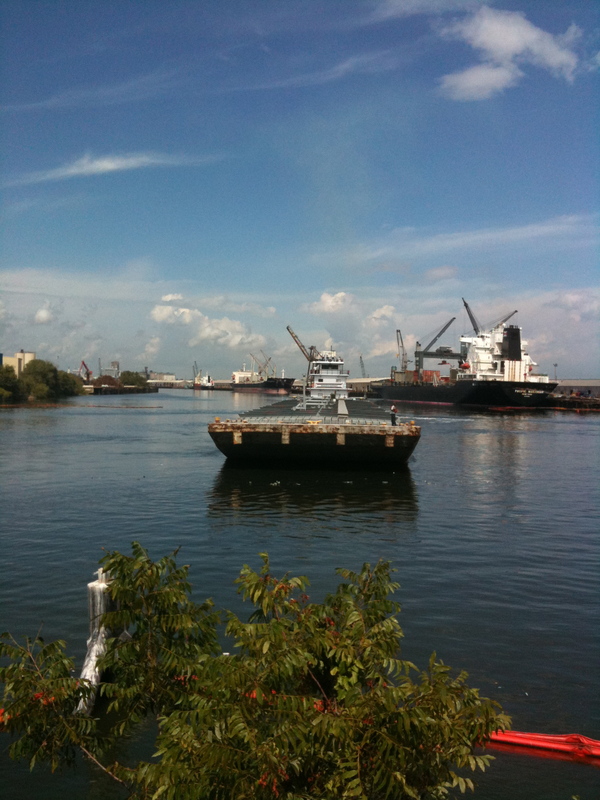 Memorial Day 2012 is Monday, May 28. Here is my annual posting of Memorial Day facts and links. As always, there will be a number of events observing Memorial Day in the Greater Houston area. The leading event in our area each year is at the Houston VA Cemetery. At the bottom of this post are details of the 2012 events from the website of the Department of Veterans Affairs. Fort Bend County will be observing Memorial Day in Fulshear. The George Ranch in Richmond, Fort Bend County will be having a Memorial Day observance on Saturday, May 26 that will take a historic look at how America’s wars have impacted Texans. The Galveston County Daily News regularly updates a list of Memorial Day events in Galveston County. Here is the most recent listing. Here is a link to Memorial Day weekend events in The Woodlands. These planned events in The Woodlands seem a bit more festive than reflective. I guess we would not want to think about death or anything that would detract from shopping. 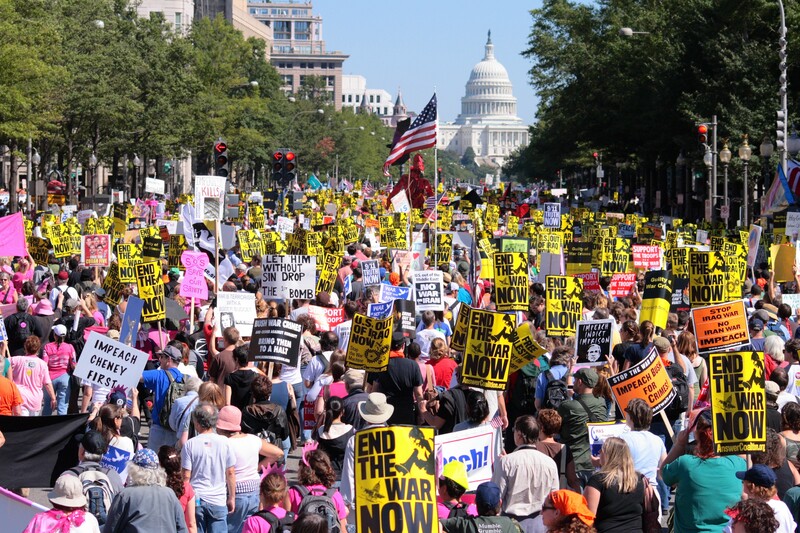 We can honor those who have died in our wars without buying into our violent culture that often values war over peace, and without forgetting that we sent our soldiers to a war in Iraq that was based on lies. If there are events in the Houston area I am missing, please leave a comment and I will add that event to this list. In 2012, Memorial Day is Monday, May 28. Memorial Day originated in 1868, when Union General John A. Logan designated a day in which the graves of Civil War soldiers would be decorated. Known as Decoration Day, the holiday was changed to Memorial Day within twenty years, becoming a holiday dedicated to the memory of all war dead. 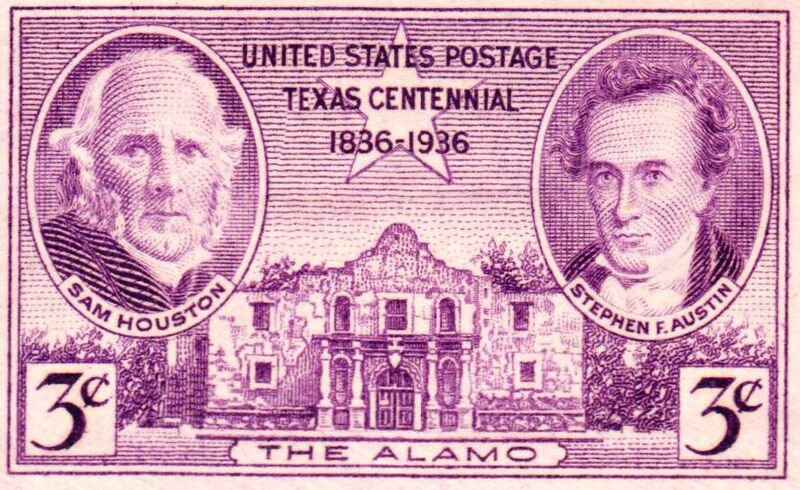 It became a federal holiday in 1971, and is now observed on the last Monday in May. Here is a much more detailed explanation. Here are pictures of each of the dead along with their ages and hometowns for U.S. Soliders who have died in Iraq and Afghanistan. We often talk about how much we care for these troops, yet we really have just gone on about our business as they have fought and been hurt and killed. Here is a list of minor and major wars in American history. Here are numbers of American dead and wounded in our wars. Here is the article that broke the story of mistreatment of veterans at Walter Reed Hospital. Another case of how the care we say we have for our veterans does not match up to the reality. Here is the Veterans of Foreign Wars home page. Here is Iraq Body Count. This organization counts the number of Iraqis killed in the Iraq War. All people have equal value. Here is the activist group Peace Action. This group has been around since 1957. Here is a list of Medal of Honor winners for great bravery in American wars. Here is information on women in American wars. Here is the National Association of Black Veterans. 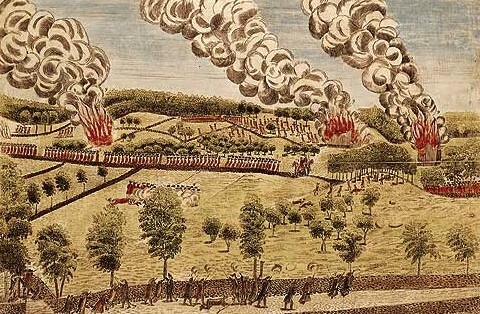 Here is information on the Revolutionary War. 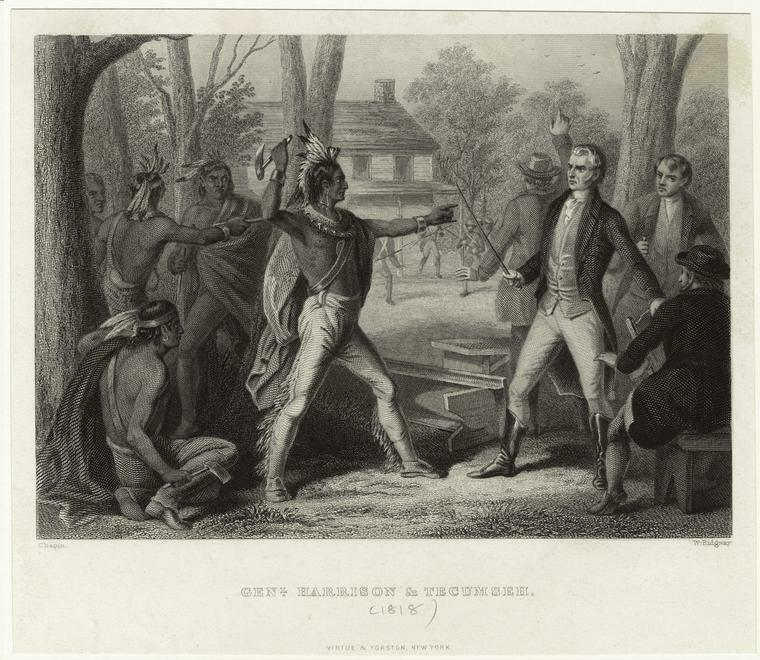 Here is information on the War of 1812. Here is information about the Civil War. Here is information on World War I. Here is information on World War II. Here is information about the Korean War. Here is information on the Vietnam War. Here is information about the War in Iraq. Here in an article from Salon about possible American war crimes in Afghanistan and Iraq. War crimes take place in all wars and are committed by all sides. It is not a contradiction to acknowledge this fact and still respect the great majority who served honorably. At the same time, it is disrespectful to the concepts of democracy and human rights to ignore these facts. 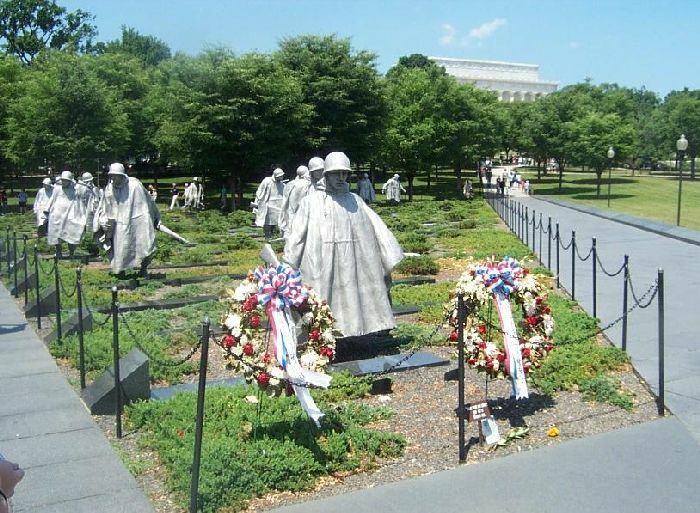 The National World War II Memorial in Washington is excellent to visit…..
As is the Korean War Veterans Memorial in Washington.…. And the Vietnam Veterans Memorial. I’ve been able to visit Punchbowl Cemetery in Honolulu. Many of our dead from wars in the Pacific are buried here. This is one of the most important and impressive locations you can visit in Honolulu. I’ve also visited Fort Rosecrans National Cemetery in San Diego. I once toured the Normandy American Cemetery and Monument near Omaha Beach in France. Below is Arlington National Cemetery. I was fortunate to once visit Arlington on Memorial Day weekend and see the American flags at each gravestone. Both those who fight our wars, and those who work hard to make sure that we do not need to go to war, are of essential value to our nation. Above is a picture I took last week of an empty hall. You can (barely) see that something is showing on the screen in the hall. This scene made me think about blogging, or about any venture in which you make an effort and hope folks will show up. Though the fact there is something showing on the screen despite the absence of an audience, makes the point that you have to proceed in any case if you feel you have something worth communicating.